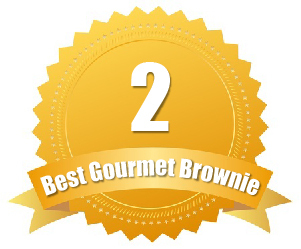 Just because you are gluten intolerant, does not mean you cannot enjoy Ruth’s Brownie Kitchen’s delicious treats. This bakery now offers a wide selection of six gourmet, gluten-free brownies. The secret? Buckwheat in place of traditional flour. Some of the delicious flavors available in Ruth’s gluten-free collection include their walnut, caramel swirl and extra fudgy flavors. Ruth’s popular “zingers,” featuring just the crunchy top of the brownie, can all be made to be gluten-free upon request. Although not currently Kosher-certified, Ruth’s is in the process of getting this certification—so be sure to check back if that is what you are looking for. Always up for a new challenge, Ruth’s Brownie Kitchen can also be contacted about formulating vegan goodies and treats. Ruth’s gluten-free brownies can be purchased in quantities of half-dozen or a dozen, and range in price from $24.95 to $51.95, depending on the flavors selected. Looking for top-quality ingredients? All of Ruth’s brownies are baked with natural and organic ingredients, with no preservatives—ever. Chocolate.org caters to those looking for specialty brownies that fit into specific criteria and dietary categories. Their user-friendly website allows customers to shop by contents and ingredients they wish to see in their purchase with a drop down menu, making it easy to find specialty items. 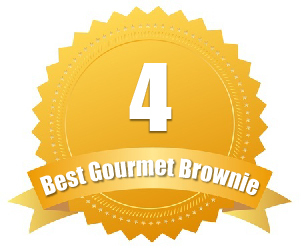 With this vendor’s massive selection of 105 brownie combinations, we were not surprised to see that they have three varieties of gluten-free brownies, as well as a gluten-free brownie mix. They also have seven Kosher-certified brownie gift sets and 49 gifts sets completely free of nuts. Even better, they also offer several fair-trade options as well. Brownie gift boxes from Chocolate.org start at $15.00 and top off at $79.50. Their equally delicious brownie mixes range in price from $6.00 to $13.00. Want a fun, seasonal item? 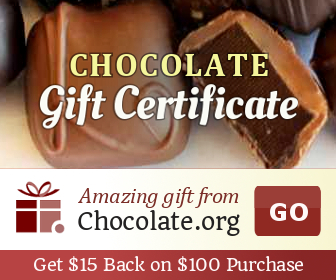 Chocolate.org also offers a wide selection of holiday-themed treats and brownies. 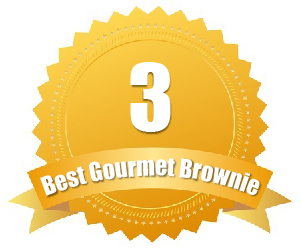 All of Brownie Points’ delicious brownies and goodies are baked from the finest ingredients daily. Their baked goods are all Kosher-certified. Better yet, they also offer a selection of gluten-free options for those with food sensitivities. Brownie Points’ gluten-free brownies are available in two classic flavors—chocolate caramel sea salt and chocolate fudge. These brownies can be purchased individually in their adorable baby-brownie size or in their more decadent large-sized brownies that are 3×3. Need a gift for someone with Celiac disease or gluten intolerance? Brownie Point’ gluten-free varieties are also available for purchase in a half-dozen or dozen gift set. Gluten-free baby-sized brownies start at $1.50, while their larger 3×3 creations are $3.75. Brownie Bites’ gluten-free gift sets range from $15.00 50 $23.00. Worried you won’t like these specialty treats? All of Brownie Points products come with a 100% satisfaction guarantee. Cheryl’s award-winning bakery is dedicated to using only the highest-quality ingredients and has been Kosher-certified since 2008. More recently this bakery has also started offering sugar-free and gluten-free desserts and gifts. They currently have 15 sugar-free assortments, containing a variety of cookie and brownie flavors. The delicious gluten-free cookies, brownies and gifts from Cheryl’s are available in 19 different assortments. It is great to see this level of variety, as many bakeshops only offer a limited selection of gluten-free options. All of their gluten-free baked goods also exceed the current FDA-regulations, so you can rest assured your gourmet treats from Cheryl’s are completely safe for your diet. Sugar-free treats from Cheryl’s range in price from $24.99 to $134.99, while their gluten-free goodies start at $6.00 and top off at $58.99. Need it there by a specific date? Cheryl’s offers a variety of shipping options, including overnight, to ensure your gift arrives on time. This bakery is committed to creating delicious treats for everyone—even those with Celiac disease and gluten-intolerance. 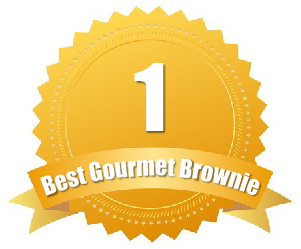 They take the process of creating these treats seriously, and all of their gluten-free brownies are baked in a separate facility that is free of not only gluten, but also dairy, eggs, fish, shellfish, peanuts, soy and other allergens. This way customers can rest assured there is no contamination. 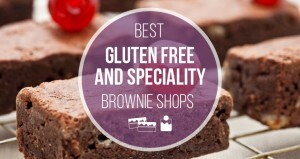 This bakery does not specifically market a vegan brownie option; however, since all of their gluten-free brownies are crafted in an environment completely free of dairy, they may also meet the dietary requirements of vegan customers. This bakery’s gluten-free brownies are available for individual purchase for $5.50 and also come in a duet for $12.50 and a quartet for $23.50.